Integrated with latest technique, our range of CI and IBR Valves is wide in demand in all verticals of processing industries. These valves are specially engineered for preventing backward flow of muddy, slurry, sewage, viscous liquid and clear water. Easy to open and shut off, these are leak proof in designs. For specific industrial applications, we also develop valves with customize configurations and construction materials. There is an excellent capability of staining highly corrosive environment. These valves are exceptionally rugged and sturdy in designs, made for a tight seal in pipelines. Our entire range of High Pressure Valves is specially developed by implementing some of the latest International designs. We are fully equipped with the advanced state of the art technology and a strict quality control system to keep a check on the functioning of these valves. 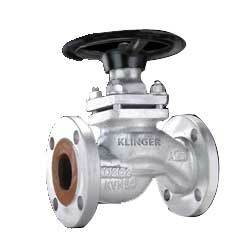 Some of the major advantages with these valves are that they are rugged, durable in sturdy in designs. The entire range is engineered for ensuring tight seal in the piping arrangement along with ease of operation. Also, these are integrated with quality and integrity required for a long service life. Gate Valves - Gate Valves are the most commonly used component for processes where an uninterrupted flow is required. Whenever in open position, the gate of the valve fully retracts into the bonnet, thus, creating a minimal pressure drop. These types of valves are especially engineered and developed for use in isolation applications. 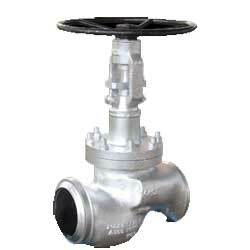 Globe Valves - As compared to gate valve, the main advantage to avail in the Globe Valve is that it opens more rapidly. 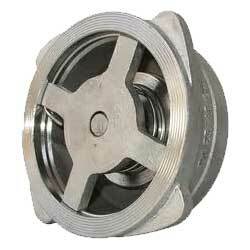 This valve is an advantage to those applications where there is frequent operation of the valve. For a full flow in the system, the disc of the valve needs to move only a small distance from its seat. Along with some advantages, there is also a disadvantage with this type of valve; it increases the resistance to flow by changing its course, thus generating turbulence. 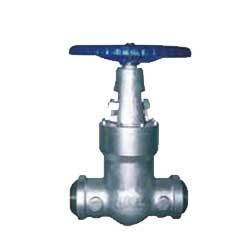 In result, there is seen a higher pressure drop across a globe valve, as compared to gate valve. These valves are specially designed and engineered to open up, close off or throttle the flow in a pipeline. Graphite Seal rings and Packings. Disc Check Valve guarantee non return or no reverse flow in after traps discharging into closed systems. With a rugged and compact design, constructed with stainless steel, these check valves are easy mount in any direction between pipe flanges. These are designed to suit any process liquid such as liquid and gas, apart from steam. The material of construction selected in this valve makes it suitable for applications in hot water systems, process lines, and steam and condensate systems. Its face to face dimensions are in strict compliance with the EN 558 part 2, series 52. These can be designed to be sandwiched between flanges i.e. wafer type. Through several studies, it is proved that the valves in the pipelines are the major source and cause of 75% of leakages occurring in process plant emission. It is quite difficult to eliminate leaks in pipelines completely, how well do you take care of the proper selection, installation and periodic and preventive cares of valves. In initial stages, their performance seems to be quite satisfactory but with the time, they are bound to leak through gland after some operations. Piston Valves are the best alternative to both conventional types of gate and globe valves. The design of this type of valve is basically seat less and glandless with some of the distinct advantages over the conventional. Works in conjunction with the metallic stainless steel piston that moves vertically between the rings, this valve is based on the principle of resilient rings. The piston in these valves move vertically between the rings, thus ensuring an effective and durable seal even for critical and hazardous media, including heat transfer oils, steam, gases, acids and vacuum.